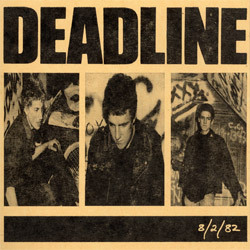 Deadline's final recording session. The songs were released in 1987 as a one-sided 12" by the Peterbilt label. That record is now long out of print. In 2007, the record was re-issued onto CD. It is currently only available only as a digital MP3 download.